We are pleased to announce details of our next event. 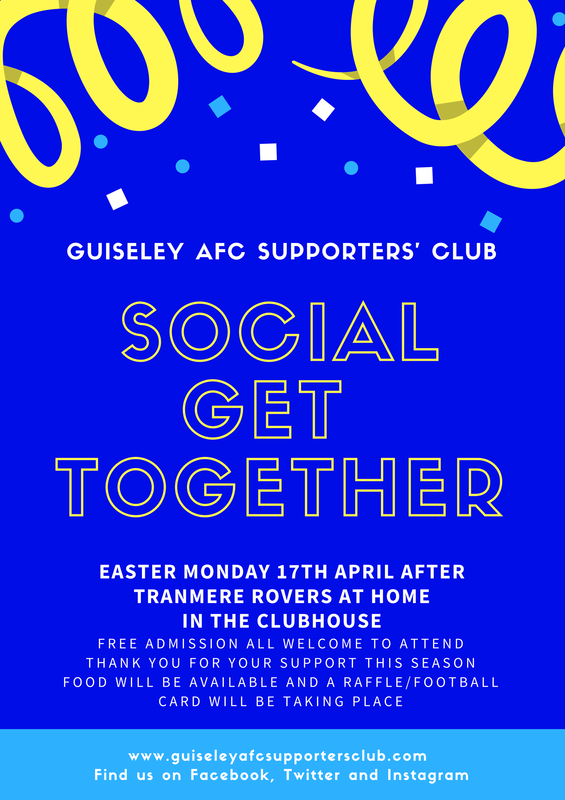 We are in action against Tranmere Rovers on 17th April and with it being the last home game before the final day of the campaign and end of season dinner we thought why not have an event to thank you for your support this campaign. Commencing from 5:30pm in the clubhouse we will have loads of fun activities as well as a football scratch card/raffle. Food will also be available on the night and we look forward to seeing you all there. We will also have 50/50 Cash Draw tickets on sale and you will be able to vote for your player of the season.